The 5th offering of the Cultural Center of the Philippines’ Metropolitan Opera in HD Season 4 features Giacomo Puccini’s Turandot on April 4, 6:30pm at Cinema 3 of Greenbelt 3 in Makati. Puccini’s final opera is an epic fairy tale set in a China of legend, loosely based on a play by 18th-century Italian dramatist Carlo Gozzi. Featuring a most unusual score with an astounding and innovative use of chorus and orchestra, it is still recognizably Puccini, bursting with instantly appealing melody. The unenviable task of completing the opera’s final scene upon Puccini’s sudden death was left to the composer Franco Alfano. Conductor Arturo Toscanini oversaw Alfano’s contribution and led the world premiere. Nina Stemme takes on the title role of the proud princess of ancient China, whose riddles doom every suitor who seeks her hand, opposite Marco Berti as Calàf, the brave prince who sings “Nessun dorma” and wins her love. Anita Hartig and Leah Crocetto share the role of Liù, the faithful slave girl. Franco Zeffirelli’s golden production is conducted by Paolo Carignani. 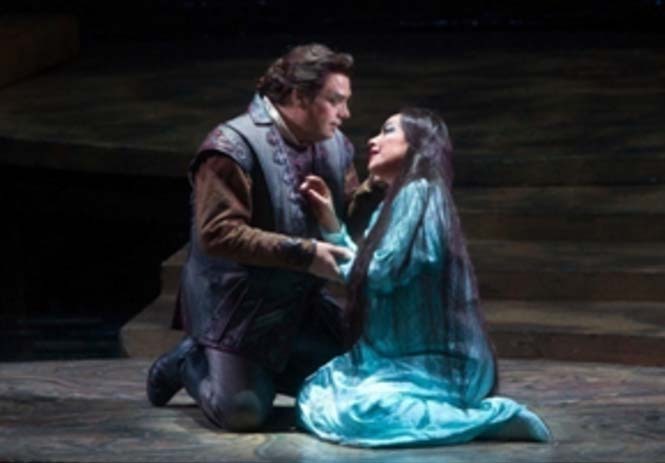 The CCP’s Met Opera in HD series, in cooperation with The Filipinas Opera Society Foundation, Inc. features screenings of the latest operatic productions of the Metropolitan Opera in New York through High-Definition digital technology. Next production scheduled for screening at Greenbelt 3 cinema is Tristan und Isolde (Richard Wagner) on May 9, 2017. For more information, call Greenbelt 3 cinemas Customer Service Hotline: 757-7883 or CCP Sales and Promotions at 832-3706; e-mail address: ccpsalesandpromo@gmail.com.